Pastway has roots in the lumber industry that date back to the early 1930s, when Frank Pastway first owned and operated a sawmill on the banks of the Madawaska River. His son Ray built on this success close to the site of his father’s business by establishing Pastway in 1979. Offering the first custom milling services in the region, the company grew from three employees to over 50 by 1986, steadily increasing production capabilities and earning a reputation for leading edge products and services. A Pastway Ultimate Deck starts with Lodgepole Pine, a beautiful Western Species with an excellent performance record as a decktop material. Our Ultimate 5/4 x 6 decking, moulded with a decorative radius edge, offers a great look with great value. 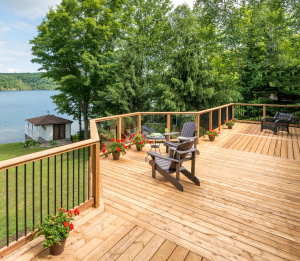 Our Ultimate 2×6 decking also features a decorative radius edge in a thicker, sturdier board. 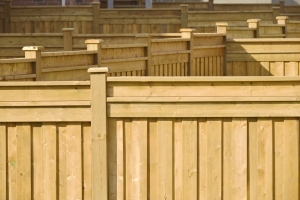 With Pastway Planing preserved wood products, your customers can build the Ultimate Fence. Ultimate 3/4″ Classic Fence Boards are 20% thicker than traditional 5/8” fence boards, and Ultimate 5×5 Fence Posts are 25% larger than conventional posts, for stronger fences and gates. 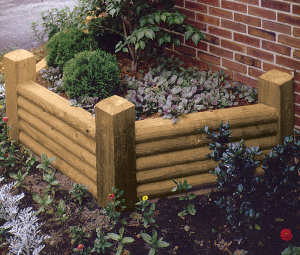 With Pastway Planing preserved wood products, your customers have options for edging and non-structural landscaping applications with Ultimate Garden Ties, or pressure treated wood timbers in a wide range of sizes for structural landscaping.